Editor’s Note: TheVistaPress.com would like to thank Thomas Calabrese for his dedication and wonderful stories. As of today he has written 156 stories in three years. It is one of the most commented articles we publish. Everyone starts their Sunday morning reading his stories of mostly fiction with some real facts. Thanks again Thomas! Thomas Calabrese — United States Marshals are tasked with capturing fugitives, serving federal arrest warrants, transporting prisoners, and overseeing the witness protection program. The job puts agents directly in the path of the most dangerous criminals in the nation and the world. 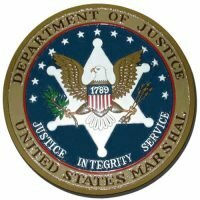 With a name like Dillon Marshall, it seemed only appropriate, ironic or even prophetic that he would end up as a United States Marshal at some time in his life. Dillan graduated from the United States Naval Academy and served on active duty for ten years as a naval intelligence officer. His decision to leave the military was due primarily to a joint operation that he participated in between Naval Intelligence and the U.S. Marshal Service in 2009. Lieutenant Commander Marshall provided invaluable assistance in tracking down Boris Kodjoe, screen name B.K. notorious hacker and escaped federal fugitive. B.K. had been arrested in Bali after he installed ransomware (a type of malicious software designed to block access to a computer system until a sum of money is paid) at Paramount Studios and shut down their movie and television production. Executives at the entertainment company reluctantly paid the twenty- five million dollars. Boris Kodjoe would have never been caught except for two things; he had a weakness for Polynesian women and an addiction to prescription drugs. An international arrest warrant was issued and a two million dollar reward was offered for information leading to the arrest and prosecution for the person responsible for the Paramount cyber- attack. B.K. became delirious after a negative reaction from a drug cocktail while partying in Indonesia and was taken to the nearest medical facility. The doctor at the Bali Royal Hospital called the local police when he became suspicious after a delirious Boris Kodjoe began rambling about his criminal exploits. He was placed under protective custody until U.S. Marshals arrived to bring him back to Los Angeles. During a layover in Honolulu, Hawaii, the three U.S. Marshals were ambushed and killed by a highly trained team of Chinese mercenaries in a bold attack inside the main terminal. In return for being taken from American custody, B.K. agreed to conduct cyberattacks on high profile targets for the Chinese secret police. However they pushed their luck when they ordered B.K. to hack into a United States Naval weapons systems and this brought Lieutenant Commander Marshall into the picture. Although he was one of the best at cyber-attacks, B.K. finally met his match when he came up against the young naval officer. He was bouncing his internet signal from locations all around the world, but Lieutenant Commander Marshall was able to pinpoint the origin in Managua, Nicaragua. Working with Seal Team Six they attacked the fortified complex, killed the Chinese mercenaries and took Boris Kodjoe into custody. The notorious hacker was sentenced to twenty years at United States Supermax Penitentiary Florence located in Fremont County, Colorado, known as the Alcatraz of the Rockies. “Use for what?” Dillon asked. “I’d like you to put together a quick reactionary strike team, go anywhere in the world on short notice and bring back the worst of the worst,” Director McKittrick explained. “You’ve got a whole bunch of marshals to choose from; why would you go outside your own organization to ask me?” Dillon asked. “I need someone with a different perspective, a man who can work across departmental lines; who knows the military, foreign countries and has natural instincts and specialized skills. You possess all of those,” Director McKittrick said. “I figured that you might have concerns so I tried to address them beforehand. I have complete bi-partisan support on this project. The President and Congress both know that Russia, China, North Korea and a long list of other bad actors are going to become more of a threat as time goes on and we need to be ready. I obtained ten years of funding voicing your same issues; I told them that to recruit good people I need to offer something substantial and stable. Before I forget, the Navy will allow to you to transfer to the reserves and if this doesn’t work out then you can go back to active duty,” Director McKittrick elaborated. “Seems like you’re taking a big risk, what happens if this goes south?” Dillon asked. “Are you willing to put this in writing?” Dillon said. That was four years ago and since that time Dillon Marshal and his elite team that was handpicked by him has proven their worth ten times over to America and her allies. Shira Dayan was a former Miss Israel, Mossad agent and held dual citizenship in the United States and Israel. She spoke five languages and was proficient in counter terrorism techniques and hand to hand combat. Bill Goining was a former Navy Seal and prior instructor at the US Navy Sniper School. If there was even the slightest possibility to hit a target under the most difficult circumstances then Bill could make it. Benjamin Leonard could be the poster boy for computer savant weekly. He was in his early twenties, socially awkward, easily embarrassed, and uncomfortable in public and below normal in all academic endeavors due to lack of interest. However, he was a magician with anything that had to do with computers including: eavesdropping, multi-vector polymorphic attack, phishing, social engineering, spoofing and tampering. Benjamin was also extremely proficient in security architecture, design and measures, vulnerability management, secure coding, hardware protection mechanisms, breaches response and cross-site scripting. Benjamin was also a master of password cracking, denial of service attacks, network traffic sniffing and SQL injection. Put him around state of the art computers and high tech equipment and Benjamin Leonard was like a fish swimming in water or a bird flying in the sky; he was in his natural element. Even though they operated around the world, they divided their time where they were stateside between Joint Expeditionary Base, Little Creek, Virginia, a Navy Seal base and Camp Pendleton Marine Corps base in Oceanside, California. Dillon liked the security that being on a military base provided his team. They were assigned base housing in both locations. They had just returned from Venezuela where they captured escaped federal fugitive, David Ogden, a hedge fund manager who absconded with over a billion dollars that he embezzled from investors and banks. He was offered sanctuary by Nicolas Maduro who charged a seven figure fee for around the clock security and immunity from extradition to the escaped fugitive. Dillon and Bill did a HALO (high altitude low opening) jump over the private estate where Ogden was staying while Shira Dayan pretended to be female company provided by Nicolas Maduro. When the head of security called to verify, Benjamin Leonard breached the communication network and authorized the entry. Once inside the private quarters of Ogden, Shira injected him with a knockout drug and he was incapacitated in a matter of two minutes. Dillon and Bill at the same time were neutralizing guards along the way to meet with Shira in the master quarters. Dillon sent a radio signal to Benjamin that they were ready for extraction and the trio and their prisoner prepared to make their escape. Bill placed Ogden over his shoulder and headed to the roof. Several moments later, an UH-60 Ghost Hawk stealth helicopter appeared out of the darkness, hovered overhead, lowered several ropes, the team connected and disappeared into the night. Another fugitive brought to justice by the Marshall Team. The team decided to celebrate the success of the mission by going out for beers and burgers at the Junkyard Grill in Oceanside. Whenever Benjamin came along, the other three members kept a watchful eye on him because of his awkwardness in social gatherings. While enjoying their meals and snacking on a variety of appetizers, Benjamin kept staring at two couples at an adjoining table and eventually two large muscular men in tank top shirts walked over and loomed over Benjamin in a threatening manner. “What are you looking at?” First Man demanded. “Walk around,” The First Man ordered. When Bill attempted to walk around, the two men blocked his path again. “The hell with this,” Shira commented impatiently, then buckled one man’s leg with a kick to his thigh then pushed him aside when he started hobbling. The Second Man stepped forward and Shira grabbed his wrist and bent it back to inflict maximum pain. “Let me go,” Second Man pleaded as he squirmed and twisted to free himself. “All I was going to say was thanks,” Bill said. Shira and Bill raced to the car and they sped out of the parking lot. Twenty four hours earlier, Amber Lowry, noted zoologist from the San Diego Zoo and daughter of Senator Charles Lowry, Chairman of the Armed Forces subcommittee was kidnapped while working at the Queen Elizabeth National Animal Park in Uganda. Senator Lowry was contacted by the kidnappers and told that if he wanted his daughter back, he would have to provide the most current list of covert operatives working in Africa. He was expressly warned that if he contacted law enforcement, his daughter would be tortured and killed. “I’ll have everything ready to go as soon as we land,” Benjamin promised. The team immediately went to the U.S. embassy in Kampala where only a select few with the highest security clearance knew who they were. After double-checking their equipment and weapons, they got on the road for the 200 mile journey to Queen Elizabeth National Park. The park is located in western Uganda and is about 750 square miles of savannah and tropical forests. It sits between two lakes at the base of the Rwenzori Mountains and is home to buffalo, hippopotamuses, crocodiles, elephants, leopards, lions and chimpanzees. “We don’t have any more time so get it ready for a field test. Remember keep the conversations casual, we don’t want to arouse any suspicions,” Dillon ordered. “We’ll make an exception this time,” Shira added as she approached. “I don’t know anything about that!” The Guide sobbed. “If you can’t help us then there’s no reason to keep you alive,” Shira pulled her Beretta 92 and placed it against the forehead of the guide. He nervously nodded as fear induced perspiration rolled into his eyes. “What is your involvement in this?” Dillon asked. The guide began to cry, “They took a family member from four park guides including mine. In my case I was told that they would kill my wife if I didn’t help them. I was supposed to call if I saw any park rangers coming down Kanugu Road. In the beginning I thought they were big game poachers and I didn’t even know about the kidnapping until hours after it happened. They called me later to tell me that my wife would be released if they got what they wanted so it was to my advantage to report any police arriving at the park.” . “And you believed them?” Bill asked. “How were you supposed to contact them?” Dillon asked. “Roger that, five in, six out,” Dillon radioed back. “Let’s do this and go home,” Shira smiled. It had to be split second timing, but these four people were used to working in unison in life and death situations. “On my call…one…two …go!” Dillon radioed. Shira engaged two more kidnappers and killed them. One escaped and ran toward the building with the intent of killing the hostages, but Dillon was ready as he came through the door and shot him several times and he fell dead. Twenty minutes later, a Uganda military helicopter landed nearby and took the hostages except for Amber Lowry. “She’ll be coming with us.” Dillon informed the Uganda commander. Three months later, Dillon and his team landed in Hong Kong. When they entered the warehouse in the industrial section of the city they eliminated six Chinese mercenaries and confronted Dongfan Leung, the mastermind behind the kidnapping and notorious Chinese spy. He had a weapon in his hand and was conflicted about his next move. Dillon and Shira stood before him with their weapons at the ready, Bill also had him in his sights from his distant position. “It’s your call…cuffs or coffin,” Dillon said. Don’t call me Marshal Marshall,” Dillon growled. It appears the “Editor’s Comment” covered my sentiments and comments very well with a bit more information then I have about the number of stories written by Mr. Thomas Calabrese. I read all of them each Sunday with the exception of a few because of certain circumstances. I can honestly say I have enjoyed them all, some a little more then others but as a whole all are well written and make for very enjoyable reading, including today’s story. Tom Calabrese has a great talent for writing and delivering great stories for all ages to read. I too, want to congratulate and Thank Mr. Thomas Calibrese for sharing and providing his writings with us. Another very enjoyable story, keep them coming. I read something in the newspaper about a lady from California being kidnapped while on safari. Is this the same story? You took a timely story and put your own twist to it. This isn’t fake news , is it? Congrats on your 156th story…keep up the good work. Another interesting story,but who’s keeping count. Keep up the good work. I have found all worth reading. I agree with Clyde, they are a team of mission impossibles . I like these stories because they are so much fun to read…big time heroes with lots of action..larger than life with great endings!